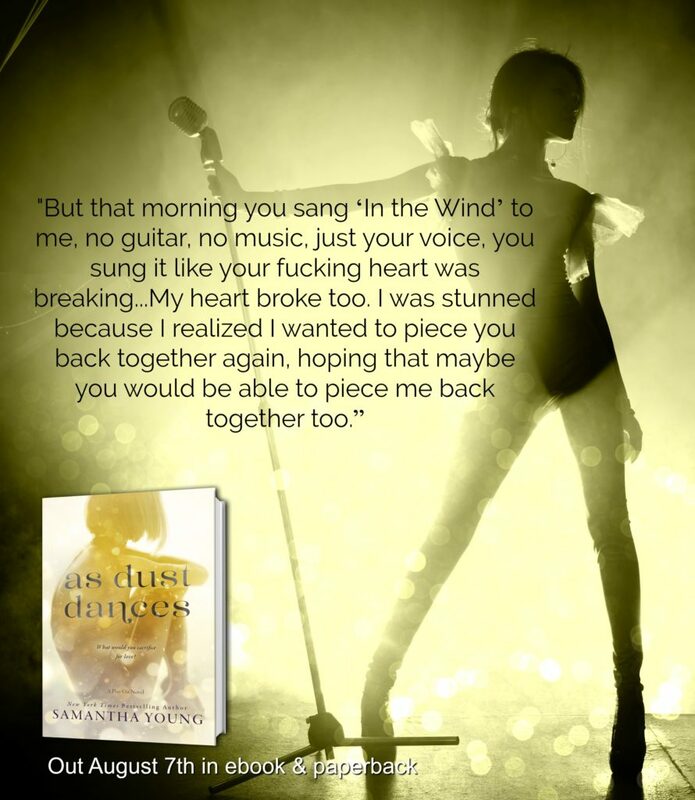 AS DUST DANCE by Samantha Young is LIVE! is now available on all retailers! This is going to appear like a strange way to write a review, but this is how it feels right to do. I’ve been reviewing for just over sixteen months now and I have never been so compelled to put words to paper the way this one has compelled me to. Usually, I stew over my thoughts for just a little while, but not on this one, oh no. This one demanded I write the review quickly, lest I forget what I was left feeling when I was grabbed by the chin and forced to listen to what these truly exceptional characters had to say. And oh boy, did they give me a lot to think over. The author of this rare gem is not unknown to me; I have admired her work for quite a while. Just never have I actually gotten around to reading one her books, I admit shamefully. As Dust Dances is a personal journey of two mismatched people who are forced to find a way to repair their shattered pasts. When Killian and Skylar first meet they aren’t on equal footing. They are in fact, so far apart from equal, one would have to squint towards the sun to see the other. Both are just looking to fix what is broken in their lives and live a full life without regret or pain. What I obsessed over in this book was the music. The author added numerous song lyrics into the text and not only was it intriguing, each piece added to the feel of the scene to which it was placed. Secondary characters have some of the most interesting personality quirks as far as I’m concerned. Probably because we have so very little time to get to know them and they need to make the right kind of impact. The bandmates, for example, the usual character traits were there, but underneath all the testosterone and binge drinking was a family. One with a solid foundation and like most families, there is always the occasional spat or battle that breaks out. One particular scene in this book was so torn I almost couldn’t make my thoughts run straight. Real fun when you’re trying to make notes for a review. It was confusing, enigmatic, and fulfilling all at the same time. And please, do not get me started on the ‘will they won’t they’, argh! That alone drove me into a frustrated mass of questions and agitation. The romance in this book almost took me by surprise when the smexy time happened. I’d almost given up hope that something would finally come of all the sexually charged moments and looks. Killian and Skylar were so realistic, I just wanted them to stop mucking it up and sort it out. Everything they felt, I felt. 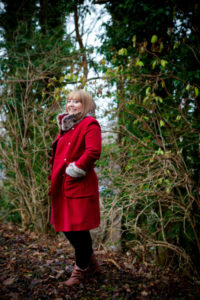 Wicked, evil, wonderfully talented author, if you ask me. Often enough people discover/realise that in order to move forward in their lives and to leave the dark shadows they must go backwards. Pain, trauma, any negative event or emotion can lead someone down the wrong/worst path, sometimes for years, or even decades. Almost all of the characters in this book at some point or another come upon the crossroads. The path they decide to take will change their life for many years to come. Forgiveness oftentimes isn’t deserved; however, for some people, the act of forgiving heals them more so than the person they forgive. 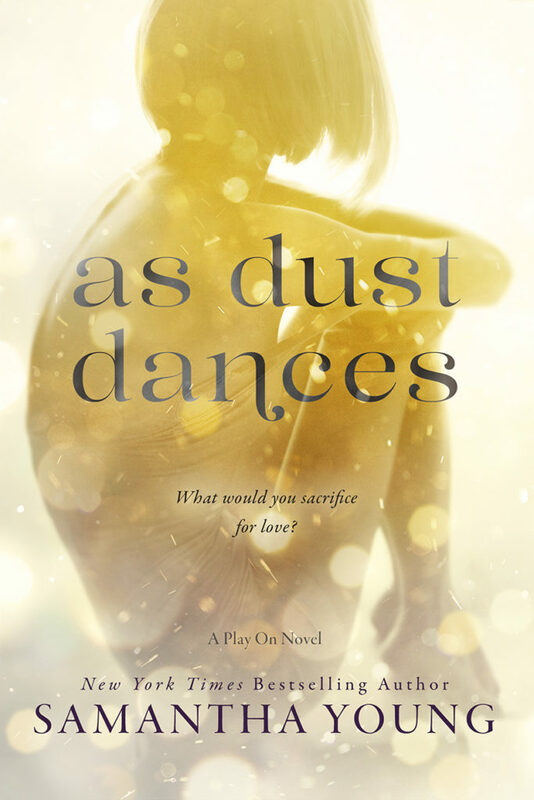 As Dust Dances has something for everyone, and I truly believe that if you were to give this one a chance, even though it’s the second in a series, this doesn’t impact the story one note. You’ll come away from it feeling more emotions than you know what to do with. The last fifteen percent of this book was full of feels. Good and bad, I needed tissues and that does not happen just any all day. Congratulations Ms. Young on penning a book that feels so real I could reach out and actually feel it. When I finished, O’Dea was sitting on the chair, his elbows braced on his knees. He was staring at the floor, like he was lost in thought. Then he looked up at me and my breath caught at the million heartbreaking emotions roiling in his gaze.And then they were gone, as if they’d never been there.“That’s all I have so far,” I whispered, so confused by him. “No more songs.”His expression was unreadable. “Your visitor’s visa is about to run out.”Bewildered by the response, I could only nod. Next Next post: REVIEW ~ A DATE FOR HANNAH by Callie Henry is now available!